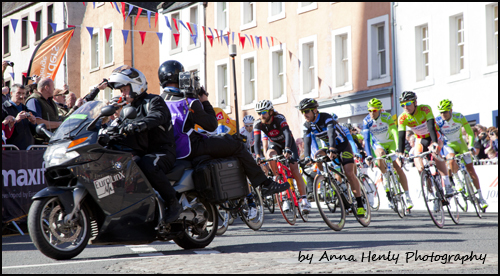 I couldn’t believe my eyes when I realised I had nailed a shot of cycling legends Mark Cavendish and Bradley Wiggins………and MY DAD!!! A perfect way to repay my family’s own cycling legend. And an imminent Birthday present sorted! 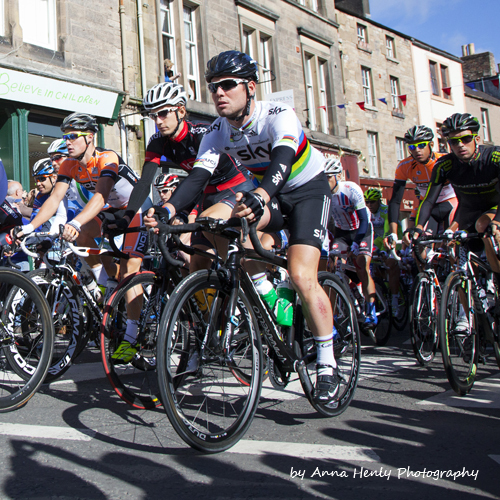 The Tour of Britain’s third stage began in the Scottish Borders, in Jedburgh. 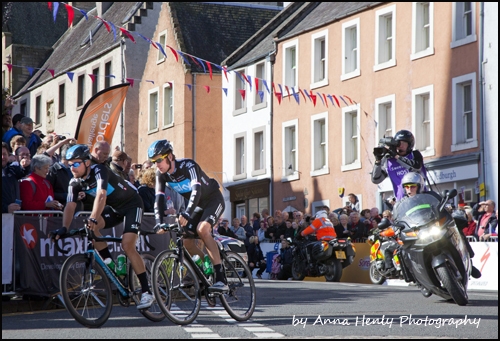 The cyclists did a circuit of Jedburgh so all the fans could get a good look. 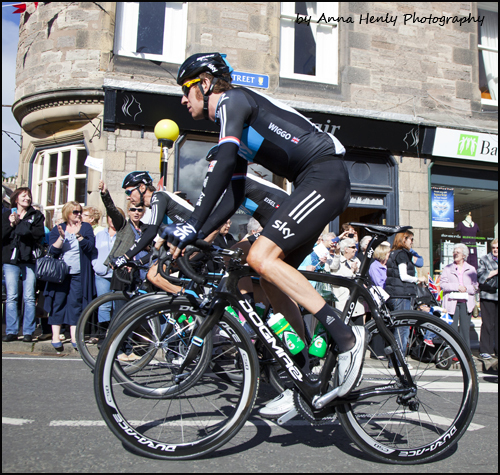 And right at the back of the pack was Wiggo. 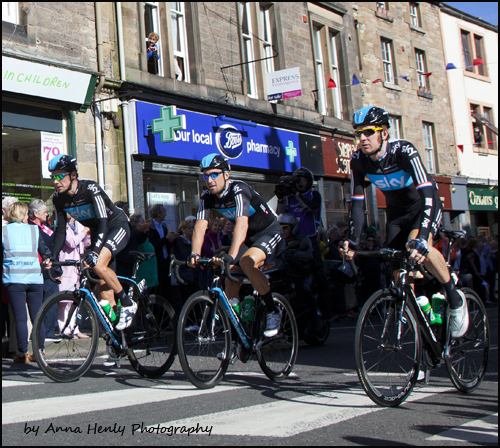 The camera caught Cav’s rainbow jersey on the way back through the town. We got a good side view of Bradley Wiggins and the sideburns as he went past. 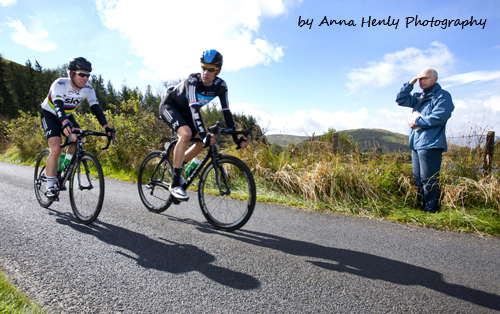 And a final shot of three members of Team Sky: Hunt, Eisel and Wiggo. Pity that the poor photographer never actually gets to see the photo in real time – the mirror gets in the way of enjoying the event. Nothing beats the excitement of reviewing the shots afterwards however!